Finding a food that your cat enjoys can sometimes be tricky. But The Grange staff has the knowledge, and personal experience, to help! Our cat department is filled with the healthiest and most popular cat foods on the market. If your cat has allergies, a sensitive stomach or is just picky… we can find a feed that works for you. 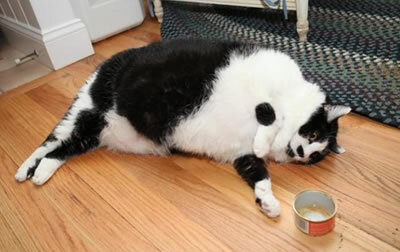 Did you know that having canned food is an important part of a feline diet? That’s why in addition to a great selection of natural dry food, we have a huge selection of canned food for your favorite feline. Not only is canned food good for their diet, but canned food is an easy way to keep your cats diet fresh and interesting! The Grange also carries a variety of cat treats, including dental chews and fun, interactive toys to engage your cats’ wild instinct.